Watch our video interview with Thomas Wright and Joseph Fratesi, partners and co-owners of ATLAS INDUSTRIES, the furniture and design company. They discuss why they chose Newburgh, N.Y., when deciding to move their business from Brooklyn, N.Y. In 2012,Thomas Wright and Joseph Fratesi, the owners of Brooklyn-based Atlas Industries, began a search for affordable warehouse space accessible to Manhattan. 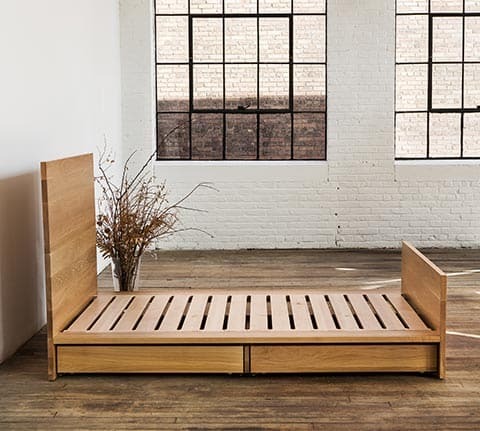 Their firm is a multi-disciplinary design and manufacturing firm that integrates interiors with furniture and objects that have a craft-based sensibility. Wright and Fratesi had been successfully growing Atlas Industries for two decades and reached the point where they wanted to scale the business up. Brooklyn commercial real estate had become pricey, though, and so they decided to widen their search. This led them 60 miles north of Manhattan to Newburgh, N.Y., where they found what they were looking for. 11 Spring Street, Newburgh, N.Y., one block in from historic Liberty Street, featured a great piece of property with plenty of parking, loading docks, and large light-filled interior spaces. Well, in truth Wright and Fratesi knew the spaces would become light-filled just as soon as they bought the building and tended to the bricked-up windows. A wall system made by Atlas Industries of Newburgh, N.Y. The building was purchased and through 2012 renovations undertaken and completed. 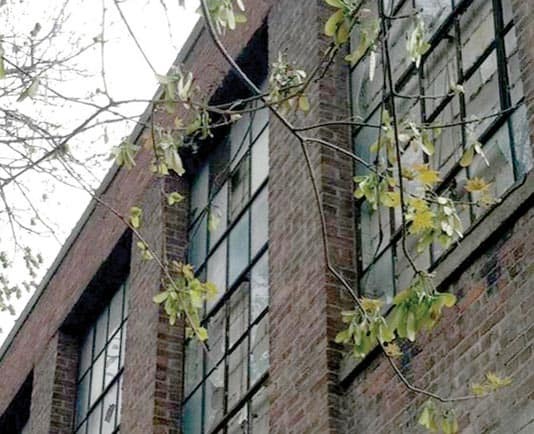 According to Wright, the building belongs to an era when Newburgh was a thriving industrial center with, among other things, large-scale textile manufacturing. 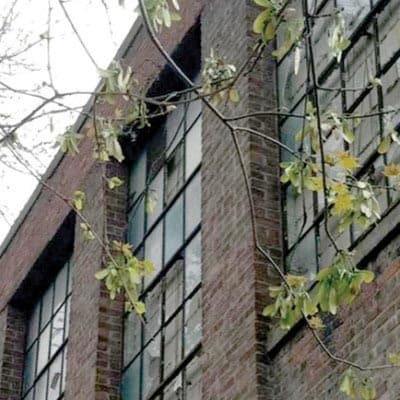 It was built by a company that made worsted yarn and was successively used for clothing manufacturing, handbag manufacturing, carpet warehousing/distribution, and in later years mattress manufacturing. In 2013, after being in Brooklyn for twenty-two years, the owners of Atlas Industries made the move to Newburgh, delighted to be in a large affordable industrial space (the building is approximately 36,000 square feet). They were also happy to be in New York’s beautiful Hudson Valley. The Spring Street Newburgh space now houses their studio and shop where they design, prototype, invent, build, and produce their work. The partners also decided to expand their business to include Atlas Studios, as a division of Atlas Industries. Also located in the building on Spring Street, Atlas Studios features a workshop & studios available for rent to creatives and makers. 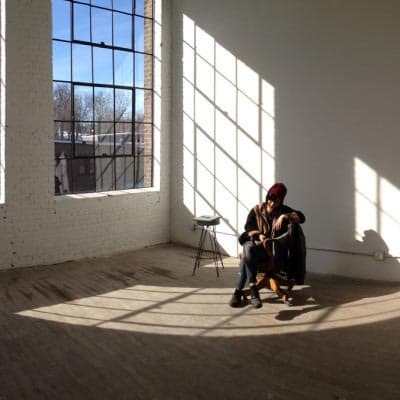 As of this writing, numerous makers, artists, entrepreneurs and creative professionals are in residence at Atlas Studios with a new resident maker, The Newburgh Pottery, poised to open shop in August 2018. The Newburgh Pottery. will offer a maker space with eight-week classes to would-be potters as well as memberships to potters who want access to all studio equipment. The Newburgh Pottery will also be crafting their own wares in the space for restaurants and others looking to commission original pieces. 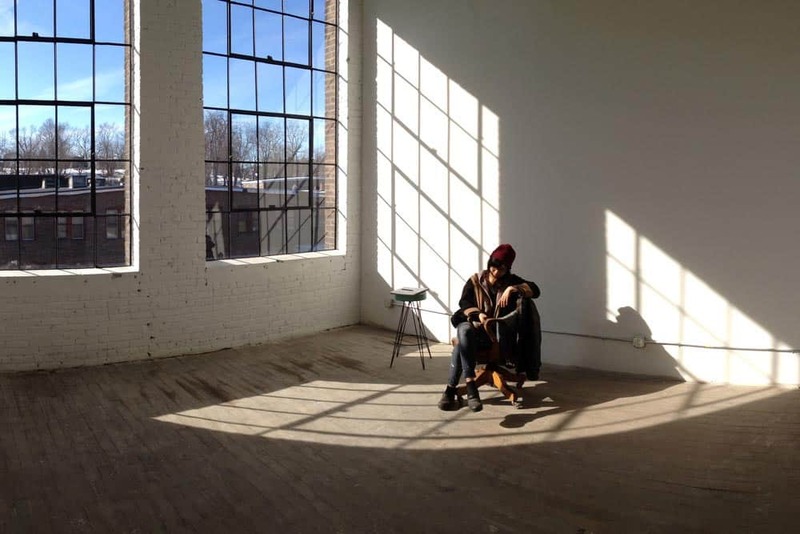 All Atlas Studios spaces offer secure, private studios in a historic industrial building. Spaces have high, 14′ ceilings, hardwood floor, large operable windows and beautiful natural light. The building has been modernized for 24-hour access, wi-fi, heat, A/C, & is fully sprinklered. Tenants have access to freight elevators, a loading dock, a common area kitchen, off-street parking & a photo studio. Atlas Studios also sponsors and hosts a series of concerts, art shows, and literary and film events. 11 Spring Street, Newburgh, N.Y. is just one of literally hundreds of small, medium, and large industrial warehouse spaces populating Newburgh. In 2013, when Atlas Industries opened there were many such buildings and available for just a few dollars a square foot for purchase or lease. Their purchase price was $375,000.00. Today, fewer of the larger buildings are currently on the market, but many mixed-use and retail buildings are still available at bargain prices and often with significant space, and rear entry loading docks. These rear-entrances often offer two-street, full block access. Newburgh is within two miles I-84 and I-87. It is five miles from Stewart International Airport and the large trucking depots located near the airport. Newburgh also has access to commuter rail lines via the Newburgh ferry or the Newburgh Beacon Bridge. It has a bus depot with commuter lines offering transportation throughout the region. Salisbury Mills, located seven miles from Newburgh has a New Jersey Transit rail depot offering a commuter line to New York City and other major metropolitan locations.